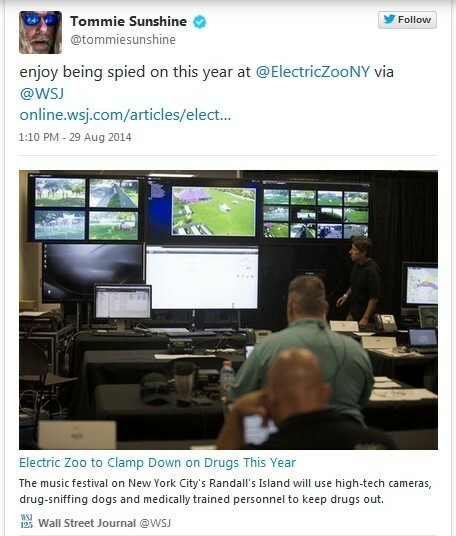 “Electric Zoo” is one of the largest electronic dance music festivals in the country, and also one of the most popular events for police to patrol. Last year there were a number of high profile deaths at the festival, as a result of fake drugs that were fraudulently sold as “Molly” or MDMA. To keep the festival alive, event organizers have been forced to allow a heavy police presence at the event, and surrounding the festival grounds. The heightened security has had many fans and even a few performers raising their concerns about music festivals becoming overrun with police. 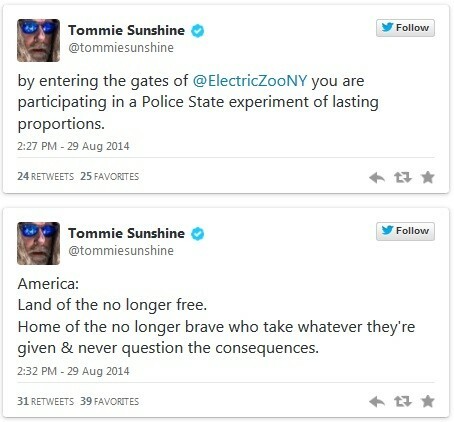 Tommie Sunshine, one of the DJ’s performing at this year’s festival, called the event a “police state experiment” on his twitter account. 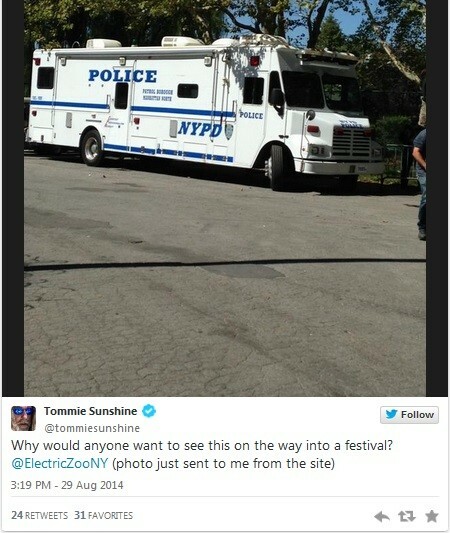 He commented on the surveillance measures in place at the festival, and posted pictures showing the police presence. 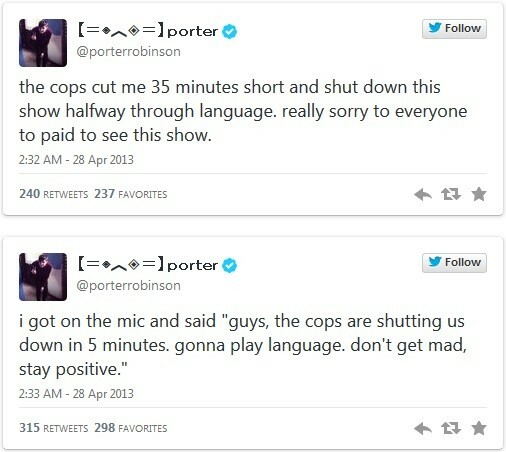 Sadly, even in rebellious cultures like the rave community, it is still extremely rare for someone in the public eye to speak out about police, or the government in general. 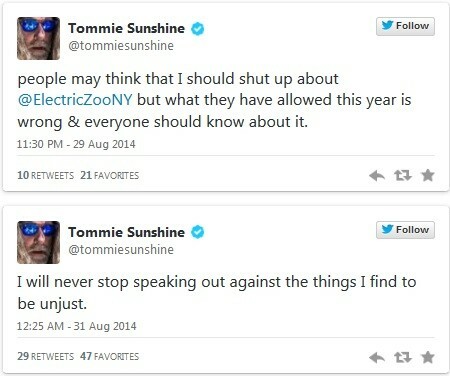 There are a few DJ’s and performers who play these festivals that actually do make an effort to educate their audience, Tommie Sunshine being one example, and Porter Robinson another. 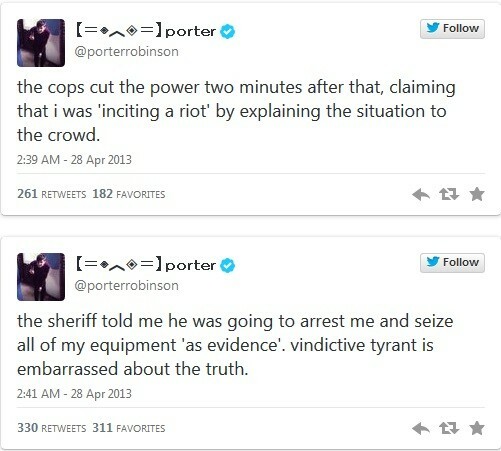 Last year, Porter Robinson also spoke out about police on Twitter, and was even accused of inciting a riot. Heavy police surveillance and occupation is becoming a regular thing at large scale festivals and events. As we reported last month, Boston police tested an advanced facial recognition system to monitor concert-goers at the Boston Calling Festival this past year.